What’s next in interiors is certainly not new. The current return to maximalism has been brewing for years. What’s new is the attitude. 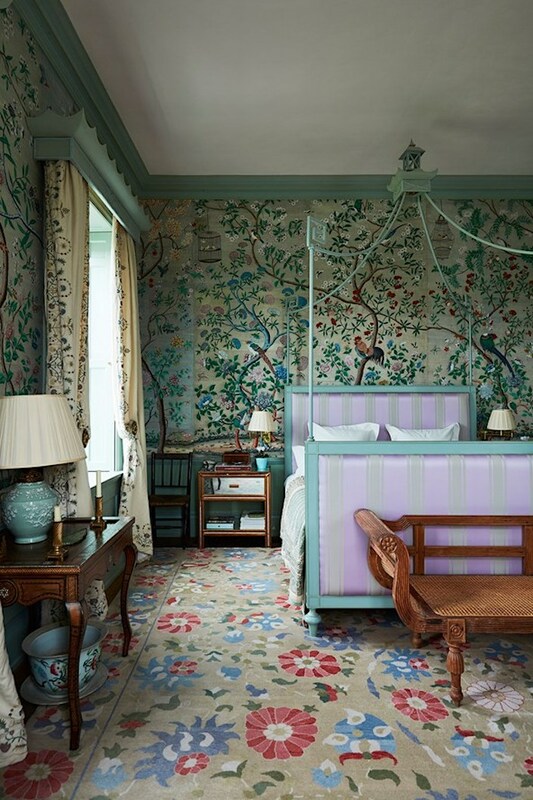 As we crave layers and pattern, florals, geometrics and brown furniture, we aren’t looking back to the carefully coiffed rooms of the elaborate 80s, but rather interiors with a human presence and charm. It’s about comfort and warmth, our personal style security blankets in a world of uncertainty. While we’ve long admired the Brits’ take on comfort at home, like Penny Morrison‘s or Edward Bulmer‘s country homes, at top, we’ve expanded our outlook. 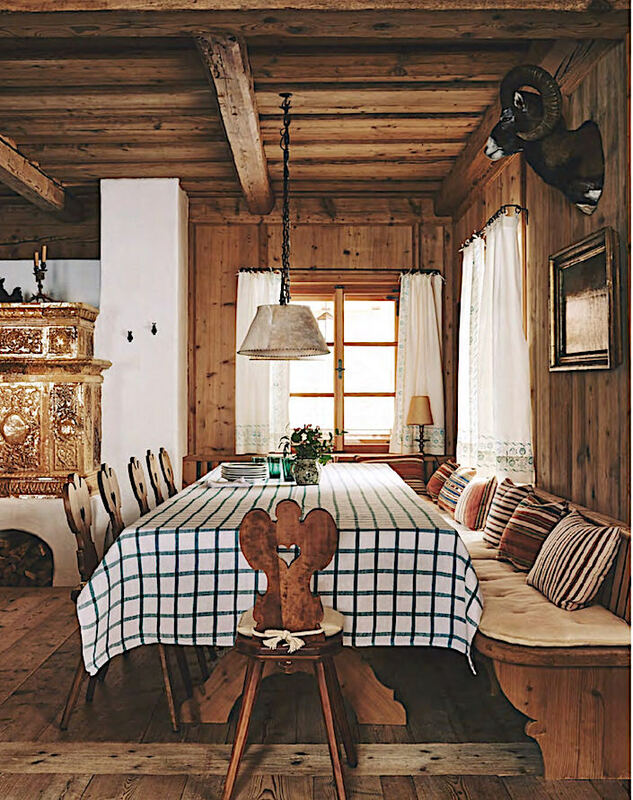 Our repertoire of inspiration now encompasses the globe, whether Ottoman chic like Serdar Gülgün’s opulent Turkish home, above, or the rustic refinement of an alpine chalet, this by Tino Zervudachi, below. And as technology drives more and more of our culture, we continue to find ways to enhance the human connection. Craft and the art of the handmade connects us with the past, timeless traditions and each other. 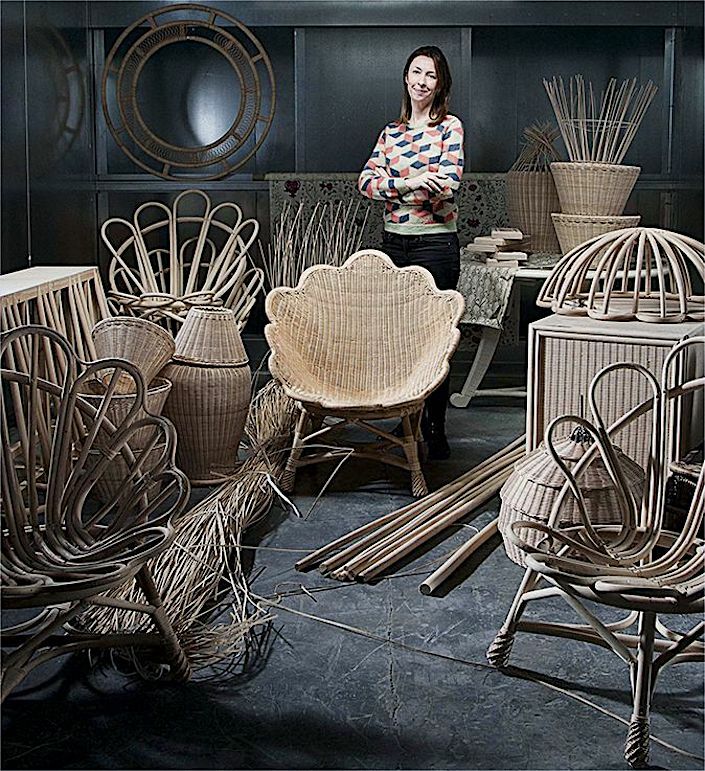 Just as we want to know where our food comes from, we like knowing the genesis of our products for the home – Lulu Lytle and Soane‘s British handmade rattan below. 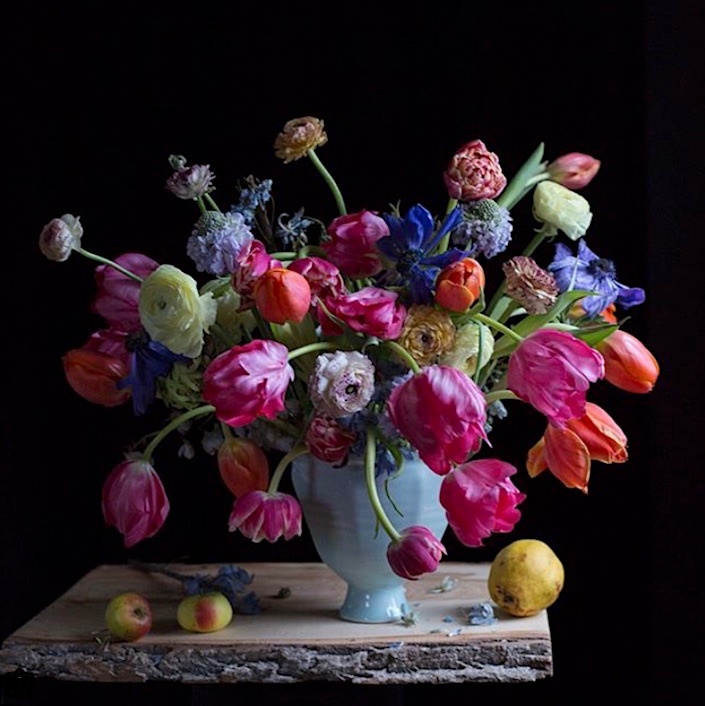 And the closer we can get to nature the better – as in materials, patterns and forms that echo the natural world, from furniture and textiles to accessories and floral arrangements – potter Frances Palmer‘s exuberant maximalist vision below. So in looking forward to what’s next in design, we gaze both outward and in. As we travel the world, by plane or armchair, we discover what resonates personally with each of us, so when we create our homes, we actually learn to become more of our own true selves. 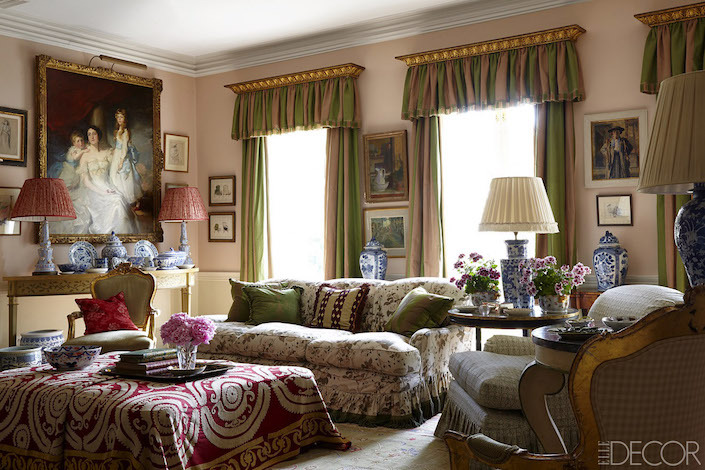 This is not merely a slapdash accumulation of what we love but a thoughtful, edited and even idiosyncratic selection – Jenna Lyons’ much touted new home, above, and Nicky Haslam’s London flat below. We can look to those whose educated eyes pull together what may be a seemingly casual room and see that it is actually layered by years of experience. And while maximalism is having its moment, it is really more about authenticity (yes, there’s that word again), knowledge and an inclusive spirit. Take all the dictums that we have bantered around of late – “live with what you love”, “it’s all in the mix” – and add “learn your stuff” – or work with someone who knows theirs. Then you’ll be poised to create your own “what’s next” at home. This entry posted in design, furniture, interior design. Entry Tags: 2018 in design, craft, handmade, interior design, maximalism Bookmark the permalink. WAIT! Brown furniture is coming back? Do tell me because I’m about to paint some white! (Well, not exactly white, but “cerusé.” The pieces are technically antiques, but not in great shape, which is why I want to get past the blows of time with some lime paste. Plus, I had felt the room had too much brown. PS: that first photo could have been in style at any time for the past 60 or 70 years. What has changed since then is the style of photography (artificial vs. natural light, adjusting the color, etc.) more than the décor itself. I think people are appreciating the idea of history and permanence, vs. switching from fad to fad. This brings joy to my heart! Though I am fond of hight curated rooms that are peeked to perfection, i am more comfortable in a room that is warm and inviting. 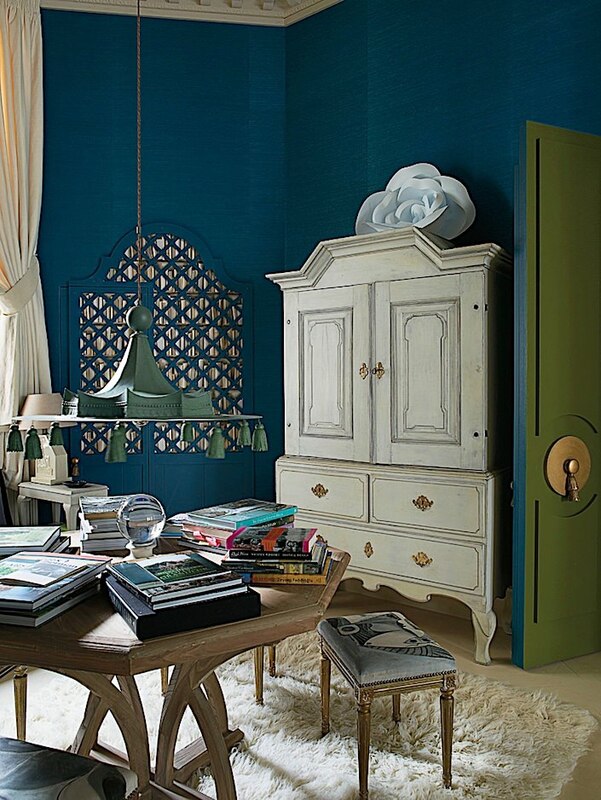 No matter how formal or casual, a highly decorative room stands the test of time. Just look to Europe for inspiration. Homes that are always in process of evolution grow with us and become truly connected to our spirits. I applaud the return of maximalism. We need more than beige and impersonal spaces to feel at home. This post exemplifies why Quintessence is my favorite blog. You have thoughtfully, elegantly and, yes, authentically, described the core cravings many of us have for something beyond the overly curated, impersonal, commonly available, market manipulated and either brightly trendy or oh so colorlessly chic formulaic interiors of recent years. Oh. for a quirky artist’s cottage! 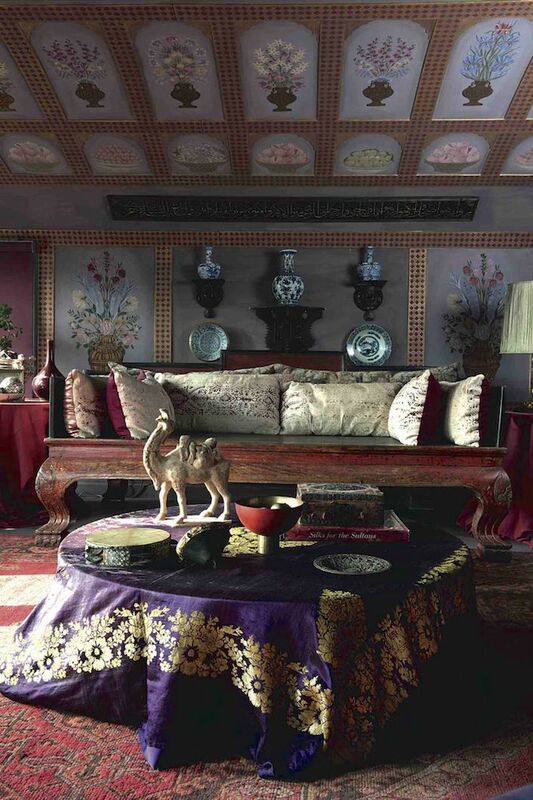 Or for honest opulence with layers of textures, hand made objects, ancient elements and plush comfort. Bring me that rustic Château without pretension, filled with faded toile, fragrant herbs, hand crafted baskets, and incredibly mellow woods, embellished with objects with history and art with meaning.with meaning. Furnish that stunning contemporary house with handsome, unique and sculptural new pieces of quality to modulate the expected and reworked mid twentieth century pieces and available on every website cranked out style of the day furniture that have become almost ubiquitous. For me, an interior should tell the story of the people in it and provide a beautiful solution to the puzzle of living comfortably, with pleasure in your surroundings. A thoughtful, personal, meaningful setting for life. Thank you for the insightful essay, the stunning and very interesting images illustrating your thoughts. I think you are spot on. Wonderfully written! My parents instilled in me the fact that classic elegance never goes out of style. I am so happy many wish to return to cozy, lived-in, yet chic rooms. I need some upholstering done and am hoping that interesting patterns will soon be making a comeback. This is why I’m in awe of you, an amazing post. 80 queries in 0.535 seconds.